Everyone in EVE has a career, so why don't they all have career plans? 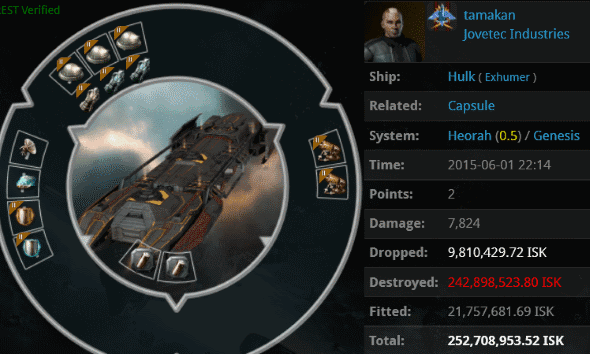 Consider tamakan, who has been playing EVE for about four and a half years. What sort of ambitions should he be realizing at this stage in his career development? Whatever he thought he'd make of himself when he started playing this game, he ended up as a killmail for the New Order. Four and a half years into EVE, tamakan was a highsec miner. He hadn't even earned his permit yet. After the gank, tamakan took his anger out at the New Order by making kill rights available. To ensure this wasn't done in error, Zuzu en Cedoulain sent the miner a message. No matter how empty tamakan's threat was, Zuzu didn't feel she deserved any sort of retaliation. She was merely doing her duty as an Agent of the New Order. Can't blame her for that. And so began a spirited debate about the nature of one's duty. In fact, a Knight of the Order has many duties. Thankfully, none of those duties contradict each other. The CODEdot Knight is always in perfect harmony with himself or herself. There are no moral dilemmas or shades of gray. The Knight ponders questions like, "So, how awesome do I want to be today?" The New Order was in grave peril--or it would've been, had tamakan the ability to "hot drop" his carrier in highsec. Actually, you might say that in June 2012, the New Halaima Code of Conduct was hot dropped on highsec. No one expected it. Maybe that's why tamakan remained a miner after all these years: He couldn't fly a capital, so he might as well mine all day in a Hulk. Interestingly, tamakan was one of those miners who was sympathetic to the original purpose of the Code. It's a totally different scene now that the Code is cool and mainstream and everyone wants to comply with it. At any rate, tamakan was mistaken. Our pilots are not pirates; they're dripping with honour. In highsec, you never know who you're going to learn from, or who will inspire you. 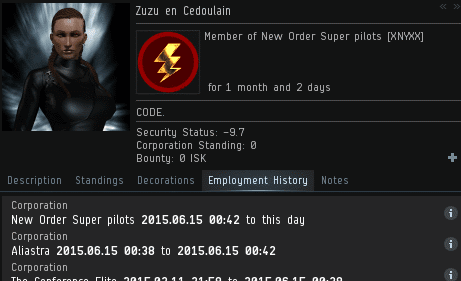 Zuzu was so impressed by tamakan's carrier threat that she decided to found the New Order Super pilots corp.
You never know what CODEdot will drop on highsec next. "And so began a spirited debate about the nature of one's duty." - comedy gold right there. Highsec is way too dangerous. CONCORD needs to be buffed with a preemptive task force - like Minority Report! "Now matter how empty tamakan's threat was" in 3 years this is the first time i've ever seen a mistake in spelling on a miner bumping article. Even when you pointed it out, I had to reread it a couple times to see it. No surprise it was missed in the proofing process. James is well known for his ability with :words:. Looks like another code victory!!!!!!! Anti-ganking failed again!!!! failing non-stop daily and now all they can do is rage and cry about it! Ok dude... It's good you support the Code, but you REALLY need to dial back on the exclamation points. That looks too much like hysterical bear ranting. 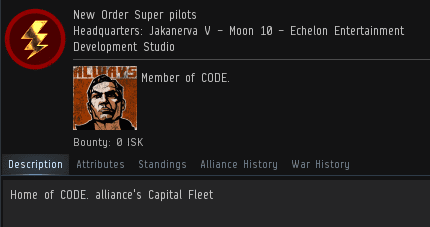 I've been in the red pen list for at least 3 months, and i haven't been ganked, nor do i have any wardec... What is CODE doing ? Does the red pen list even change something ? As of today, no. Several of my alts are on this so called 'red pen list' and several others are within the ranks of code itself. Even with all this, they still have no clue who i am, or how to stop me. Stop you? But, M, you're our number one fan! One of my alts is actually Santa Claus. The other is the Tooth Fairy. Making up blatantly obvious lies is fun, I can see why he does it. James 315 and the Mittani are actually both my alts. Well, the "Slave of Duty" was duty-bound to pirates. ...who were all actually noblemen who had 'gone wrong', and were pardoned. For anyone mystified by the reference, see 'The Pirates of Penzance' by Arthur Sullivan and W S Gilbert, 1879. Unusually for the English Victorian pair, the popular operetta premiered in New York, to wide critical acclaim. The Pirates of Penzance never actually killed anyone in the course of their activities - so an unlikely comparison with our own conscientious Zuzu en Cedoulain. Meanwhile, the only cultural reference that AG have managed to come up with so far is that to "Mein Kampf". Oh, I wasn't criticizing you guys. I just appreciated the reference. I grew up on Gilbert & Sullivan, and 'Pirates' is my favorite operetta. Hope you don’t mind me calling you James? I have just been witness to an extraordinary event; I do hope you can through some light on the matter. 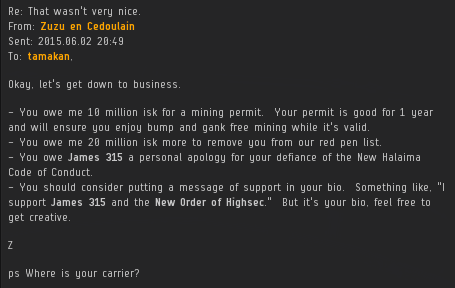 I was minding my own business mining away in Aphend province. Not AFK I might add! The local police soon dealt with them of course but not a sniff of a GF was offered by either of the agents. I know you pride yourself on ensuring all your agents are polite, so I do hope you will look into the matter post haste. The agents names are below as you can see. is that why you only keep it within the family?